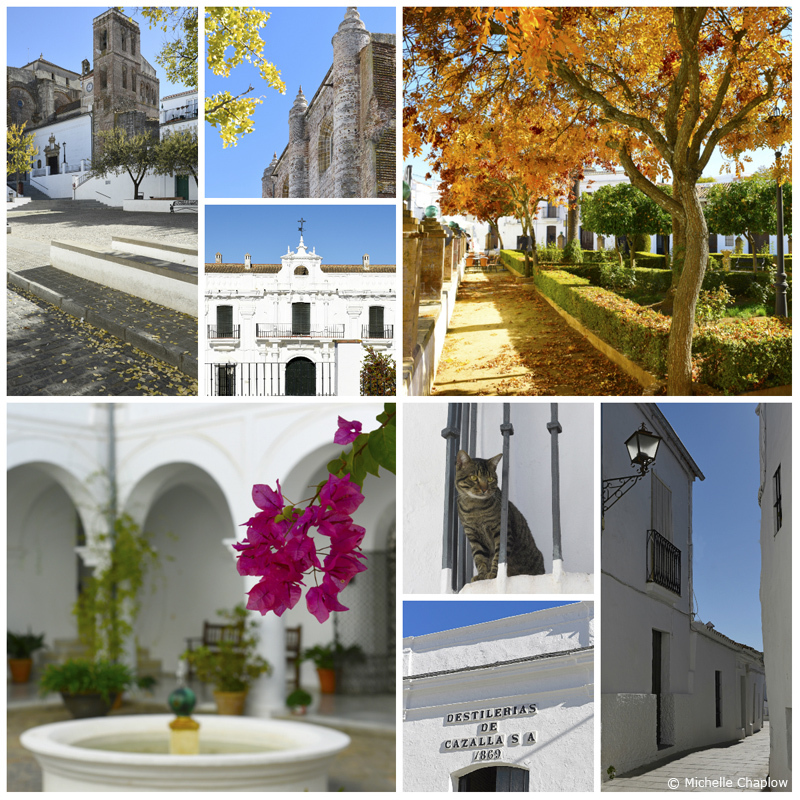 Cazalla de la Sierra, clockwise: Village from south, monument, antiquities in parish church yard, Plaza del Dr. Nosea, emblems in Town Hall patio. Cazalla de la Sierra is the second-largest town in the Sierra Norte Natural Park. It boasts one of the finest churches in the Sierra Morena, as well as grand mansions, several monasteries, including one which has been converted into a hotel and arts centre, liqueur factories and wineries. The town has about 5000 inhabitants. The earliest signs of settlements in Cazalla de la Sierra are found on the banks of the Viar, Benalija and Hueznar streams (the latter is famous for its waterfall near the town of San Nicolas del Puerto, north of Cazalla). Latin writer Pliny mentions the area as being occupied by Celts, referring to the area between the Guadiana and Guadalquivir rivers as "Beturia Celtica". In the archaeological site of Cueva Chica de Santiago, ceramic, stone and bone objects have been found dating from the Middle or Upper Paleolithic period (6000 BC). The cave also shows signs of Neolithic civilization, with early ceramics from fourth millennium BC. During the Moorish Almohad Dynasty, in the mid-12th century, Cazalla de la Sierra developed into a village with a castle and a walled enclosure (El Castillejo). Then, after the reconquest by King Fernando III of Castile in spring 1247, the town formed part of the kingdom of Castile and Leon. In the 14th century, the village expanded outside the castle walls, forming the El Azahin district. Later, in the 16th century, Cazalla prospered thanks to wine production and, during the late 20th century, the production of distilled spirits. 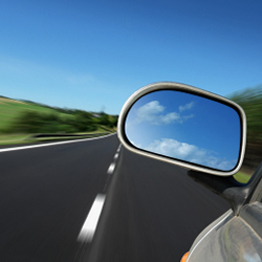 Both of these industries continue to flourish today. The town became an independent municipal district in 1917. Head for the surprisingly quiet Plaza Major, where you should be able to park - this is the historic centre of the town. The court house, previously the Town Hall, dates from the 18th century, and next door is the 16th-century ayuntamiento, today the village pensioners' social club. The church is one of the most outstanding buildings of Sevillian regional religious architecture. It is set into the original Almohad (Moorish) defensive city walls - look out for the horseshoe arch door to the right of the church facade. The original Mudejar church, with three naves, a polygonal apse and front tower, was built in 1350. It underwent two further construction phases: in 1538 part of the original building was demolished to construct a new Renaissance-Baroque style building with rectangular floor plan; and in the 18th century the remaining sections of the early Mudejar church were restored. Located in Plaza Mayor. Very little of the medieval castle remains. The walls on the south-west side of the church the walls are of solid construction and may have formed part of the castle walls, near the horseshoe doorway. In the foundations of the church tower are the remains of the castle tower. The Renaissance convent was built in the 15th century, and rebuilt following fire damage suffered in 1722. Damaged during the Spanish Civil War, the building was restored in the early 1990s. Located on Calle Llana. The convent was founded in 1493 by Don Diego de Torres, Master of Arts, Professor of Salamanca, and financed by the townsfolk through donations. At present, its interior holds the mercado de abastos (fresh produce market). It is currently undergoing gradual restoration. Located on Calle San Francisco. The Monastery was founded in 1569, by Don Diego de Almansa and Doña María Gayangos y Ulloa. At present it houses the Enseñanzas Medias "El Carmen" school; the original church is now an auditorium and library. Located on Calle Santa Clara. The Mudejar chapel, also known as San Ginés, dates from the 18th century. This small chapel with a single nave is divided into three sections, with a square main chapel. The ceiling over the chancel is domed, while over the nave it is barrel-vaulted. Located in Paseo del Carmen, where you will find a bandstand and a few bars. Baroque convent founded in 1588 in a hermitage called Nuestra Señora de la Soledad. In the 19th century, the convent passed into the hands of the state, until the Civil War, when it became an aniseed liquor factory. Now the Town Hall of Cazalla, the cloisters and patio are open in the mornings to wander around. Local produce such as anis, aguardiente, olive oil, goat's cheese, and tortas de polvoron are displayed in the entrance. Located in Plaza del Doctor Nosea. The church was built in the late 16th century by the Orden de Calatrava, and originally used as a hospital for Camino de Santiago pilgrims. Suffering serious damage in the earthquake of Lisbon in 1755, it was reconstructed by Martín de Gaínza. One nave is divided into four sections by pointed segmental arches. The construction is strong, with exterior walls supported by thick buttresses and iron balustrades in the belfry. The unusual triangular tower rises above the roof in one corner of the façade; it has been declared monument of historic interest. This building is now used as the Hotel-Restaurant Palacio de San Benito. Located on Paseo del Moro. This liqueur factory produces Miura Guindas, a sweet creamy wild morello cherry and aniseed liqueur which is served chilled. The factory is located in the old Convento de los Diezmos, a beautiful setting both in the patio and the salon. The venue is also popular for weddings, and there is a small museum. The company is now part of Grupo Caballero from El Puerto de Santa Maria, which also owns Lustau Sherry bodega. The guided tour, when available, costs 5€. Located at Calle Virgin del Monte 48. The chapel was built in the 18th century. Located 4km from Cazalla de la Sierra, on the SE-195. Cuevas de Santiago is a complex system of caves, with 21 entrances, numerous rooms and galleries, and even underground lakes. Neolithic remains have been found inside the caves, as well as prehistoric remains dating back to 3,500 BC, suggesting the caves were originally occupied by primitive hunters. Located on the SE-176. Cazalla de la Sierra is surrounded by wonderfully scenic countryside, ideal for walkers. Longer routes include Constantina-Las Navas de la Concepción-El Cierro del Hierro (58km); San Nicolás del Puerto-Alanís-Guadalcanal-Cazalla de la Sierra (68km); El Pedroso-Constantina-Cazalla de la Sierra (50km); and Cazalla de la Sierra-El Real de la Jara-Almadén de la Plata (70km). Although the Iberian pig inevitably plays an important role in Cazalla's gastronomy, other typical dishes include lamb stews and game such as wild boar, deer, partridge and rabbit, mainly roasted. Other traditional dishes are migas (fried breadcrumbs), gazpacho, asparagus, setas (wild mushrooms), as well as trufas (truffles). Sweet treats consist of pestiños, roscos, flores and gañotes (honey pastries), as well as torrijas (eggy bread) and bizcocho de almendra (almond cake). Confiteria Ortiz has making traditional pastries since 1917. Specialities are including lengua hojaldre (cream-filled millefeuille), petisu (cream-filled éclair), milhoja de merengue (meringue millefeuille), and polvorones (crumbly lard biscuits). Located in La Plazuela 10. Cazalla is famous for its aniseed-based liqueur (anís) and its rich-tasting cherry brandy (licor de guinda, see Bodegas Miura above). Try it at any of the local bars. 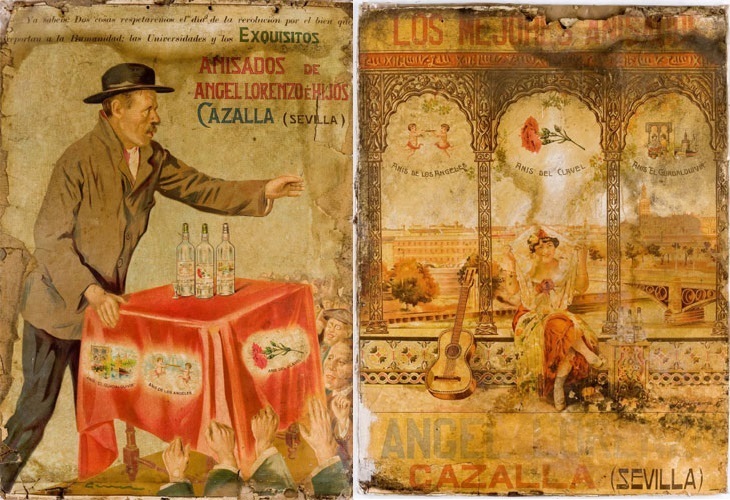 El Clavel has been distilling mainly aniseed-based products in Cazalla de la Sierra since 1896. The principal ingredient is the closely-guarded secret 'Esencia de los Angeles' which dates back more than a century. Traditional products include dry and sweet anis, cherry liqueur, herb liqueur, aguardiente (brandy, literally firewater) and a new vodka and caramel liqueur. The distillery is located at Calle San Benito 8. Crema Cazalla is another cream liqueur, made using a traditional recipe of the Franciscan monks, with cinnamon and citrus peel. Made at Destileria Cazalla, in the former Convento de San Francisco, also owned by Caballero. Located at Calle Virgen del Monte 54. Also located in Cazalla is Bodega Colonias de Galeon, an award-winning organic winery which produces a honeyed Chardonnay called Ocnos. Reds are from Merlot, Shiraz and Pinot Noir grapes, among others. Winners of EcoRacimo de Oro (organic wine) awards. The bodega is located at Calle Plazuela 39. Tel: 607 530 495. Other bodegas in this area include Fuente Reina (Constantina) and Hacienda El Duende (carretera Cazalla-Guadalcanal). Three Kings parade celebrated on 5 January. Celebrated on the second Sunday of August. Celebrated in the second two weeks of August. Celebrated in late August/early September. Celebrated on the second Sunday of September. Fair of local produce held in September. Live nativity held in December. The next villages are Guadalcanal and Alanis. Cazalla de la Sierra is a member of RED PATRIMONIA. Hover the cursor over Cazalla de la Sierra to see bigger map and click to go to the maps page.